PRICE IMPROVEMENT!! 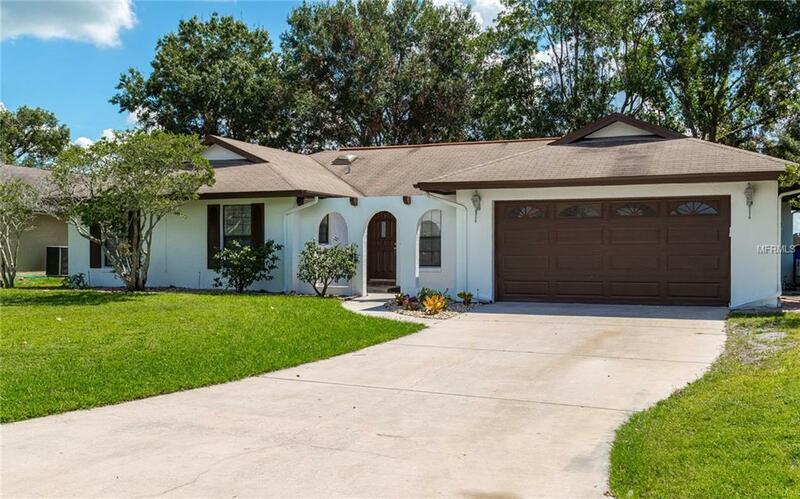 ** NEW EXTERIOR PAINT ** Great Public Schools ** Large Spacious Florida Room ** Larger LOT ** Warm and inviting single family 4 beds, 3 baths, 2 car garage home located in desirable Pine Lake Estates of St Cloud. Upon entry you'll notice the beautiful tile flooring, open floor plan, well equipped kitchen with lots of built in cabinets/shelves, and wood like laminate flooring. The OVERSIZED enclosed Florida room boasts an additional 462 (33'x14') sq ft that's not included in the home dimension. All rooms are equipped with ceiling lights and fans and all bathrooms have dual sinks and lots of natural lighting. Additional Pet Fees Non-Aggressive Canine Breeds. Pet Deposits Are $250 Non Refundable $250 Refundable And $20 Per Pet Per Month. Pet Restrictions The Following Breeds Are Not Allowed: German Shepherd Doberman Pit Bull Or Pit Bull Mix Staffordshire Terrier Chow Rottweiler Siberian Husky Akita Malamute Press Canaries And Wolf-Hybrid.